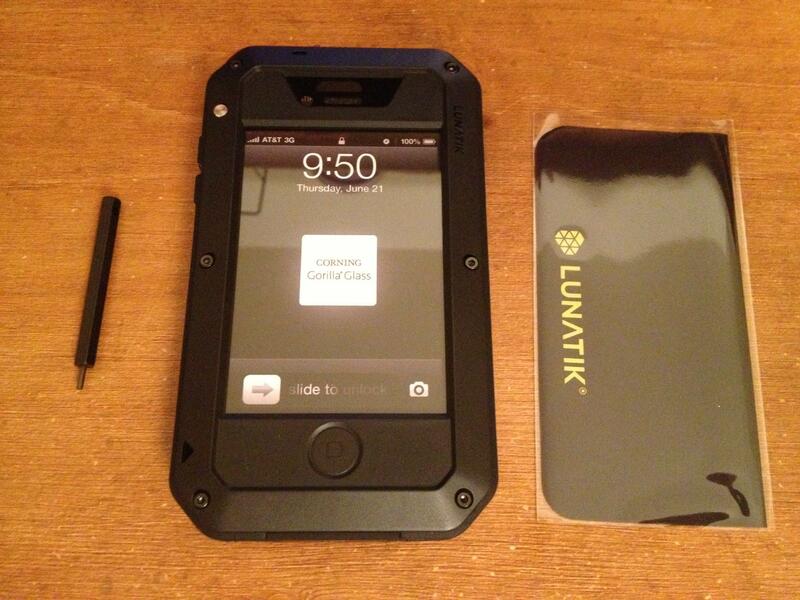 LunaTik has been among the most successful new brands to have graced Kickstarter’s crowdfunding platform. The company jump started its product line on Kickstarter in 2010 with TikTok, the iPod watch band, and could even be credited as being the first to help recognize crowdfunding as a sustainable model for hardware startups. 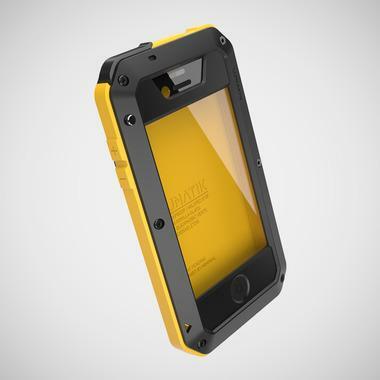 Now LunaTik is bringing us the TakTik – a durable iPhone case that closed over $680,000 during its Kickstarer’s community campaign. We go hands on with the $125 TakTik, in all of its black Ballistik polymer, Gorilla Glass glory. Right out of the box, the TakTik comes with a small screwdriver, a LunaTik-branded cleaning cloth, and of course the TakTik iPhone case. Right away, the TakTik reminds me of tank. 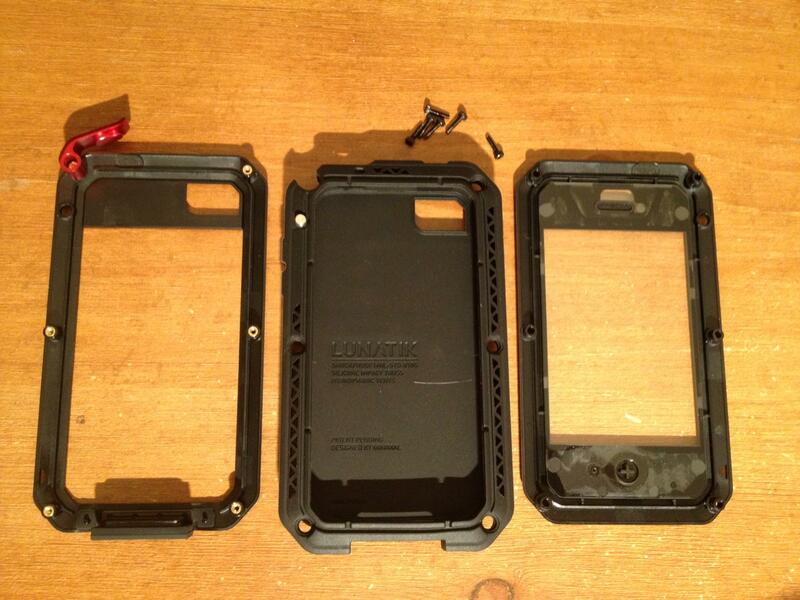 It’s designed to be durable, and that’s certainly obvious just by looking at this beast of an iPhone case. One caveat were the number of screws you have to unscrew and screw back on to enclose the iPhone. It’s worth mentioning that there’s an extra screw provided for you taped to the foam packing inside of the case. There are three major pieces to the TakTik. The front piece and back frames are made of Ballistik polymer bezel; to laymen it looks just like heavy duty plastic. Sandwiched between the bezels is what TakTik calls the patent-pending 9mm Impact Truss silicone perimeter. While its Kickstarter page boasts the perimeter as a “suspension system,” which it technically is, it’s simply made of silicone meticulously shaped like a honeycomb, which helps absorb the shock of a fall. Putting the case together was a cinch, granted that I was careful not to lose any of the screws. If you do end up completely taking the case apart into its three parts, you should recognize that the aluminum headphone jack cap (mine is in a red color) is a standalone piece. Be careful not to misplace this. When putting the case back together there was a moment where I had to apply pressure to get the three pieces to fit comfortably together around my phone. The front bezel wouldn’t fit snugly with the silicone center piece in my first couple attempts, but screwing the case back together solved that problem. And then it sealed my iPhone like an airtight coffin. Despite adding an extra inch to the height and width of my iPhone, the case sits comfortably in the palm of my hand and even slips in and out of skinny jeans rather easily. The TakTik does add extra weight to the iPhone, which you’ll definitely notice, but it’s something you should be willing to overlook if you’re concerned about damaging your phone — the bulk is a small sacrifice for the added protection. After all you’re spending between $100 and $175 to protect your $500 investment. I took the liberty of dropping my phone deliberately from waist (onto a wood floor) and head height (onto carpet) on more than one occasion. The phone was damage-free. The case itself hasn’t suffered any scratches, although we wouldn’t recommend testing this out as we can’t guarantee results will be reproduced. And while these test offered me some comfort, at the same time I found myself being less careful with my iPhone in general, knowing that the TakTik was covering it. That could end up being a slippery slope, and there’s the potential to do something to your phone that not even the TakTik could protect. The Gorilla Glass covered a screen protector that I figured I’d save in case I decided to revert to my old case, and I was pleasantly surprised to find that the Gorilla Glass was in fact sensitive to my touch even with two layers of screen protection. The buttons on the case might be the most obvious issue. The silicone-reinforced, water-resistant Home and volume buttons are stiff and require some extra pressure at first. But after one week of wear and tear, the silicone becomes softer as it’s broken in from frequent use. The power button on the other hand is still a chore to press. The button is an inverted groove on the top of the case as to minimize the risk of accidentally turning off your phone. Among the most important features about a case is how easy it is to type with the case on your phone. The Gorilla Glass as I’ve mentioned above has been for the most part sensitive to the touch so there are no issues there. What could be inconvenient when using the TakTik, if you have thick fingers like I do, is typing. Where both the bezel and Gorilla Glass connect there’s a barrier a few millimeters deep that frames the glass and can interfere with typing. Your fingers may have some trouble reaching the letters on the edge of the screen on the native keyboard — for example, going to press “Q” and “P” made me inadvertently enter “W” or “O” on occasion. Still, the design makes sense to protect your phone should you drop it face-first. The aluminum audio cap located on the top of the case is better suited for someone with finger nails that can open and close it. When it’s shut, it seals out any water but be warned that if you don’t have particularly long nails, it might take a few attempts to open. The cover that protects the 30-pin connector snaps shut rather tightly like the audio cap, and once again would be suited to an individual with fingernails. It may take a day to break in this bulky iPhone case, but it’s one that I’m inclined to keep for the remainder of my iPhone’s lifespan (which may be longer now) because it simply offers unparalleled protection. Once you’ve fitted your phone into the case, there are minimal moving parts and the design is easier on the eyes than most other rugged cases. 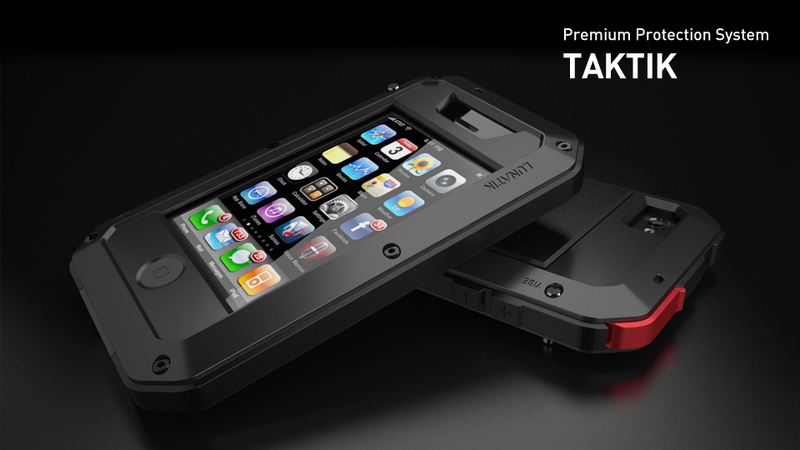 For those of you with an iPhone 5, TakTik is constructing an iPhone 5 case, which should be launching soon. If you want to pre-order the TakTik, you can choose from white, black, pink, or yellow. You can pre-order a basic case without the Gorilla Glass for $99.95. TakTik with the Gorilla Glass will run you $124.94.